BEND SINISTER/THE 'DOMESDAY' PAY-OFF TRIAD-PLUS! • Double LP, gatefold sleeve with inner bags. 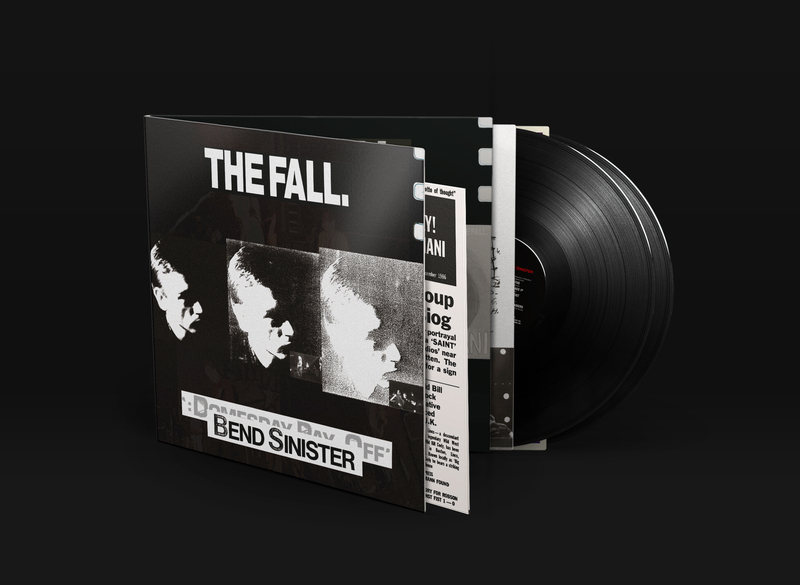 Beggars Arkive is excited to announce the long-awaited reissue of The Fall’s ninth studio album, Bend Sinister, originally released in 1986. This edition is titled Bend Sinister/The 'Domesday' Pay-Off Triad-Plus! After the universal acclaim for the previous year’s This Nation’s Saving Grace, Bend Sinister often stands in its predecessor’s shadow. It is a dark, brooding album made at the height of the group’s Beggars Banquet years and many people include this at the top of the list of favorite Fall albums.